Italian noblewoman, Lucrezia Tornabuoni, is determined to see her son, Lorenzo the Magnificent, take his rightful place as savior to the Medici legacy. For years she has groomed Lorenzo to be a great prince. But while she taught him everything he needed to know about leading a great Italian family, there was a terrible cost. 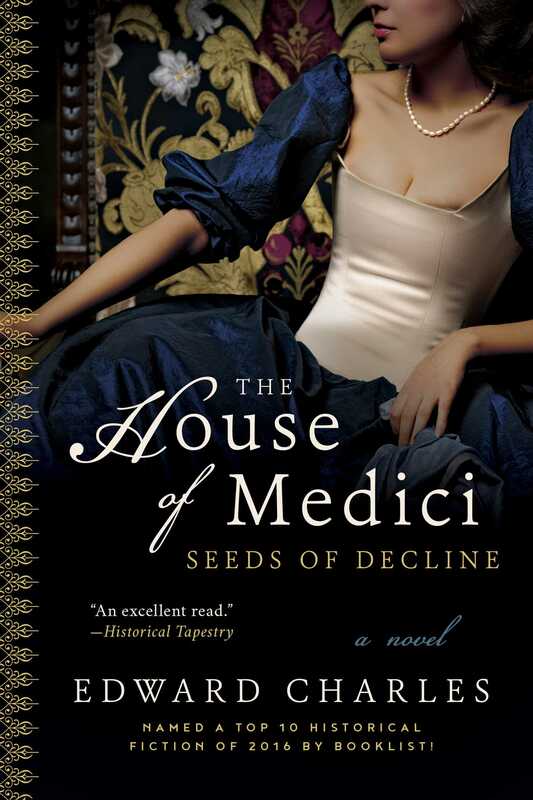 The Medici Bank—whose wealth has funded the City and Republic of Florence for centuries—is faltering, the money is running out, and the burdens of greatness are becoming more onerous for her son. Lucrezia begins to question whether she has led him astray, but in the closed society of Florence, there is no one she can confide in. Then, while on a journey away from the city, she is approached by a young priest new to town and asking for guidance about the workings of Florentine society. What begins as a simple conversation quickly evolves into confession for Lucrezia. In revealing the secrets of her family to this benign outsider, she is able to unburden herself. But this man is not the simple monk he appears. In his hands, Lorenzo’s future—and the Medici legacy—may crumble and fall . . . unless Lucrezia can stop him from taking everything she holds dear. Edward Charles was born in South Wales in 1941 and brought up in North London. He studied economics and law at the University College of Wales and then earned a PhD in corporate finance at Manchester Business School. After a short period as an academic, he began a career in finance and management consulting, working in Europe, the United States, and Asia. He retired from international business in 2006 and has published several novels. Edward lives in Devon, England, with his wife.